Courage Russian Imperial Stout. I have had a version of this before, and rated it very highly. I didn’t note which year that was though, rookie error, but on re-reading it can’t have been the 2013 version as there seems to have been a numbering system on the bottle that this one doesn’t seem to have. This is a tiny 5.3 Us Fl OZ bottle – that 275ml in imperial – bottle of a beer that is 10% ABV, which is the equivalent of 2.17 standard drink units in NZ, and about 300 calories a serve size. 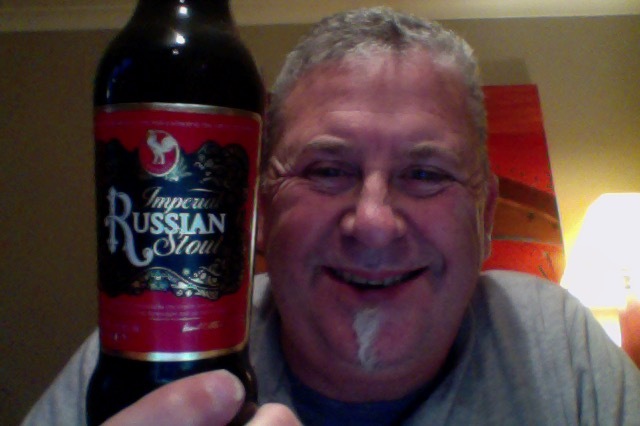 As Originally brewed in 1795 for Catherine the Great of Russia. Enjoy now or allow to mature in the cellar. Brewed to perfection only once a year, Courage Imperial Russian Stout enjoys a rich, espresso body with pear overtones and an intriguing fresh smokey, fruity finish. Big waft of milky malt and strong milky chocolate notes on opening this. Pour is quite flat and it settles black with a thin wash film over it, you pick up a sour bitter note as it sits in the glass. Taste is heavy on coffee, and then it crashes to a very dry and blunt finish. There’s a bundle of sweetness in there too pushing it along. So a real mixed bag of aroma, tastes and enjoyment matched to a slightly bitter thing and an unexpected dryness at the finish. I am for all that really enjoying this, it draws you in, and as it warms, even over a few minutes it develops and deepens a little. The pdubyah-o-meter rates this as 9 of its things from the thing. Easy easy ‘great’ label for this, it has lovely things about it that develop and grow, the Aroma is persistent and that’s a lovely pre-sup thing, the lovely coffeeness and the sweetness in this too, very welcome, but that finish needs to calm a bit for me. Otherwise get some you’ll thank me later. Where did I get it? BeerJerkNZ Beer Club beer. Am I enjoying it? Yes, it’s a cracking beer. Would I have another? I might look out other years and see if they’re available. Would I share with a friend on a porch and set the world to rights? Easy yes, this is a lovely beer with great aroma and lovely tastes. 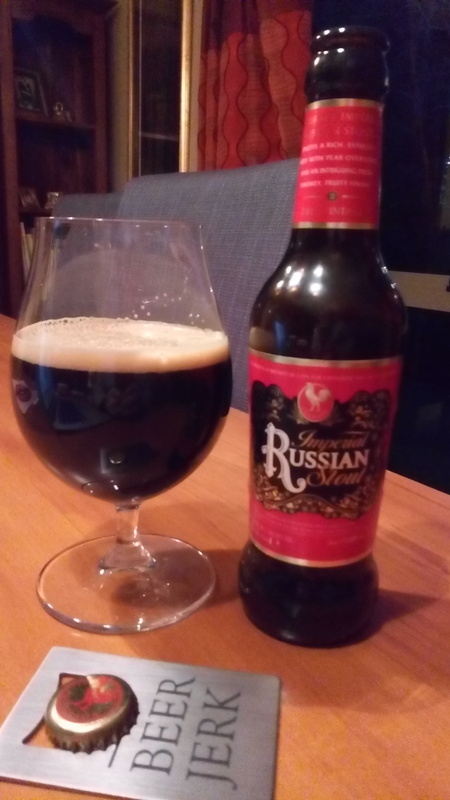 This entry was posted on May 13, 2017 by Philip Walter in Beer, Beer of England, Beer Review, Courage, Craft Beer, Critic, Imperial Stout and tagged Alcohol by volume, Courage - Russian Imperial Stout, craft beer, Imperial Stout.